Beautiful and elegant, just like her. our Godmother you are Loved frame is available as an 8x10 white scalloped frame for wall or table display, 8x10 classic white frame or 8x10 black frame. 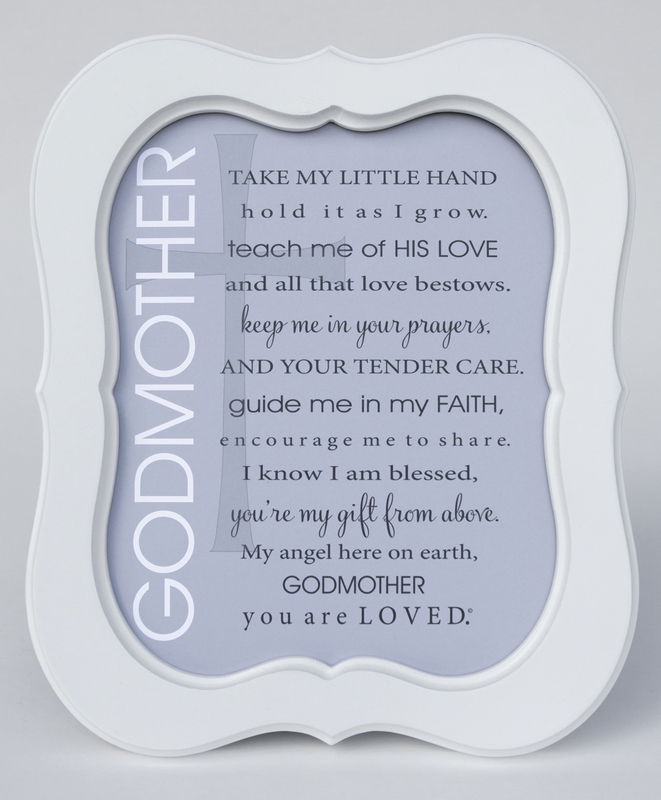 This godmother poem frame is written by company owner, Teri Harrison. The words are a daily reminder of how special and important a godmother is in the life of her godchild. A one of a kind gift and message a godmother will treasure. 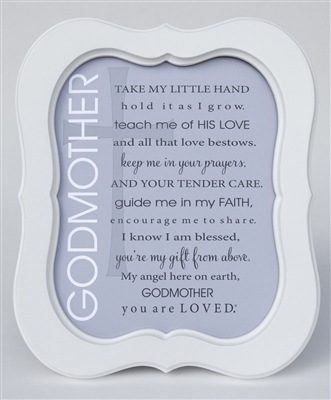 An ideal godmother gift for a godchild's Baptism or Christening Day, Mother's Day or any day you want her to know how much she is loved.